There are no alligator entries in Isaac Toups' new cookbook, but there is an array of dishes that exemplify the Cajun cooking that Toups grew up on in south Louisiana as well as the special flair he brings to them and to life in general. 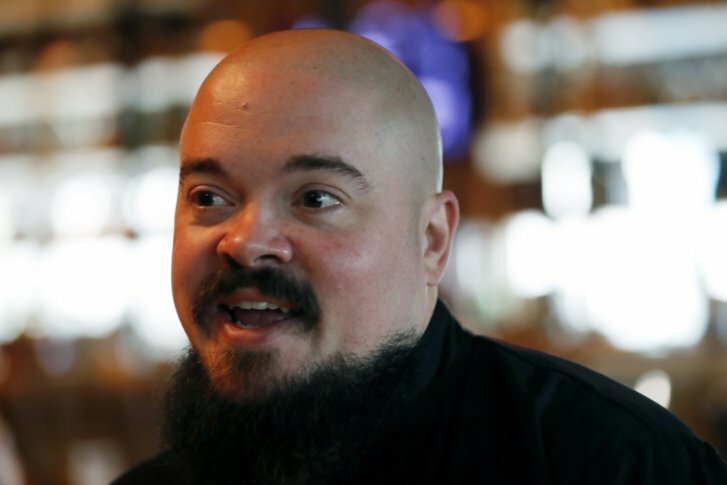 NEW ORLEANS (AP) — Despite the title — “Chasing the Gator: Isaac Toups and the New Cajun Cooking” — there are no alligator entries in the New Orleans chef’s new cookbook unless you count the photo of Toups’ back and the alligator tattoo emblazoned across it. But there is an array of dishes that exemplify the Cajun cooking that Toups grew up on in south Louisiana as well as the special flair he brings to them and to life in general. Toups, who has two restaurants in New Orleans, laces his book with colorful stories of growing up in Cajun country — a region settled by French settlers evicted by the British from Canada. It’s a region strong on hunting and fishing traditions and where family and friends gather over a crawfish boil or to slaughter and eat a pig (a process called a boucherie). Toups’ parents both contributed to his culinary upbringing in different ways. His father’s side is from the coast — Coastal Cajun — while his mother’s side is from more inland — Prairie Cajun. From his mom comes the big pig roasts, rice dishes and Native American influences, he said. From his father’s side came the coastal influence. Toups says people often ask him what he loves to cook the most and he answers with a sigh because it’s almost a cliche: crawfish — lots of crawfish. Crawfish boils are a Cajun custom that has spread statewide. The crawfish are cooked outdoors in a cauldron of boiling water along with corn, potatoes, sausage, onions, garlic and spices. It’s not just a dish. It’s an event where people gather, drink beer and break open steaming hot crawfish piled onto a newspaper-covered table. In his cookbook, Toups includes a list of songs he likes to play during a crawfish boil. The cookbook features what to some might be considered exotic eating — a recipe for Louisiana Ditch Chicken is actually fried frog legs, for example. But there is no alligator. Toups said wild alligator is delicious but hard to find, and he doesn’t like the taste of farm-raised alligator so he left it out of the book. Instead, the title’s more of a metaphor for how he leads his life — chasing flavors. “I’m always looking for the next best thing to taste,” he said. Curry. Anchovies. Lemongrass. These aren’t traditional Cajun ingredients but Toups likes to use them in his dishes. He borrows from Spanish, Vietnamese, German and other culinary influences that have affected this city and region. He describes a dish in the book — lamb neck over black-eyed peas — and how he ‘Spanishizes’ it by adding anchovies and a lot of red wine. Throughout the book Toups intersperses various descriptions of games he grew up playing. There’s chicken, where you try to get someone to flinch by throwing a knife at their feet, boure (BOO’-ray), which Toups describes as a cross between poker and spades, and stump which involves hammers, nails, and, well, a stump. Toups said he’s not sure whether the games are a part of Cajun culture or just his family’s culture. “You go to a boucherie and somebody’s playing liar’s poker or there’s the old men playing cards on the side. Or there’s the young men and women playing stump. Or the really, yahoo wild young boys playing chicken with pocket knives,” he said.